Imagine it’s Christmas or a birthday party, and your husband, beau, spouse, whatever, is about to open his present from you. To his surprise, it’s a jewelry box. He’s definitely pondering what’s inside. When he opens it up, his eyes widen and smiles. He thinks, what’s this as he slowly draws out a chain. “This is perfect,” he says, running his fingers along the gold and silver edges of his new pendant. You begin to tell him the story of the piece, where you got it, how it was made… Even how the metal for it was mined from an ethical mine based out of Peru. He wears it all day. He sleeps with it on, showers with it on. And, week after week, he still wears it. His friends notice the piece and complement him on it. They’re even curious about where he got it. If you desire a gift-giving situation like this, then this article was written for you. It’s not an easy feat to buy a gift for your husband, boyfriend, beau or fiancé, let alone a piece of jewelry, but neither is it mission impossible. Not only are you going to learn about what it takes to get a “Wow!” out of him, but I’m going to give you inside information that most jewelers, particularly those selling commercial jewelry online or in chain stores, would hardly ever mention. It’s all covered in these six key essential points that will help you choose the perfect men’s pendant: masculinity, style, gemstones, chain, fabrication and ethics. 1. What Essential Quality In Jewelry Makes It Right For Men? The first and perhaps most consideration is the whole issue concerning masculinity and jewelry. Let’s start with the basics. I’ve been selling designer jewelry to men for over twenty years and I can’t count how many times men have asked me, is this jewelry masculine enough? Behind that question is, what makes a men’s pendant a men’s pendant? Really, this is totally subjective. A piece of jewelry that one man would flaunt another man wouldn’t be seen dead with. What type of jewelry one wears, whether for men or women, can sometimes be somewhat vulnerable. Jewelry can be a representational expression of our values, identity, culture and even sexual orientation. For example, I live in Santa Fe, New Mexico where men commonly wear much more expressive jewelry than men in the northeast, where I grew up. That is in part due to the influence of local Native and local Spanish culture. Whether the piece is masculine enough, then, depends upon your partner and his particular style. If he already wears jewelry, your job is going to be much easier. You can look at his style and gather some ideas, or maybe talk with some of his friends for a second opinion. But if he doesn’t wear necklaces, then it is best to choose a piece that is most obviously masculine. It is hard to make generalizations in our long-awaited gender-bending times, but we can say that a delicate flowerful motif is not as manly as a heavy angular design, which increases the masculinity quotient. 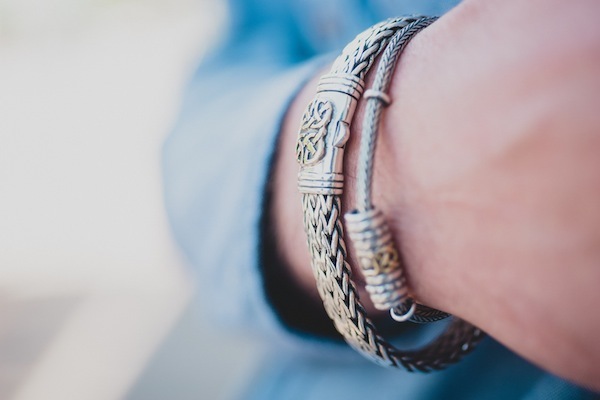 Any piece of jewelry you choose for your man will have meaning. It’s a gift from you. But if you can find a style that represents something to him, or both of you, that is, of course, even better. While some men prefer the simple elegance in a geometric design, others are looking for a more symbolic meaning in what they wear, and are satisfied with the aesthetics either way. The possibilities are endless, which is why it’s really good to consider style as the foundation of your decision. Here are some examples. A pendant of a wolf might be perfect for one guy, while an equilateral cross might work better for another. He may prefer a slider on leather with knotwork that represents connection or a design with interesting geometric patterns. 3. What About Gemstones In Men’s Jewelry? Gemstones in men’s pendants are also tied into the question of, is this pendant masculine enough? Here’s a simple answer. If he doesn’t wear a lot of jewelry, then it’s best to stick with the less risky choices. On the low risk end are gemstones with darker tones, such as onyx, jet or iolite. More risky would be peridot, amethyst or garnet. In the more expensive range, diamonds and blue sapphires are more popular with men than rubies and other colored stones. Again, gemstones in mens pendants are very subjective and depend upon the guy. 4. Chain, Chain, Chain of Fools? Sometimes a piece of men’s jewelry is simply a chain: thick, and made of gold or silver. 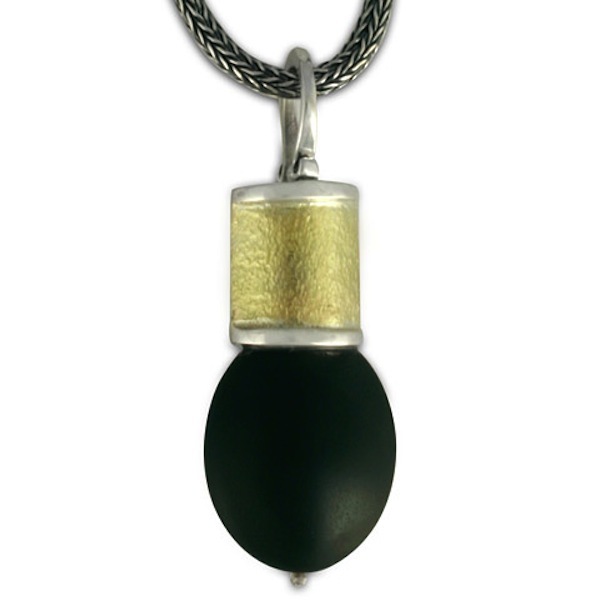 Chains for men’s pendants can be made of leather, silk, steel wire, rubber, rope, silver or gold. Within each of these materials are a huge number of variations. 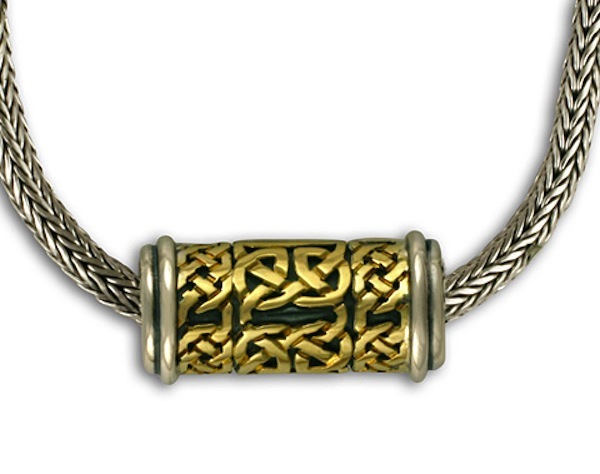 Mens pendants will generally feature a chain that the jeweler has chosen. Custom jewelers will let you alter the chain, even if it means changing out the bail (the clasp that holds the pendant to the chain). But perhaps the most important issue is the length of the chain. Does your man want to wear the piece up high, close to the collar, or down lower? Typically, the choices are 16, 18 and 20 inches. Often men want longer chains and of course the decision of length depends upon neck size as well. The good news is that any decent jeweler will let you exchange a chain for a different length even after you’ve purchased it. These days, if you search online for mens designer jewelry, you’ll see a huge variety of low budget mass-produced imported pieces made of base metals, ranging from tungsten to stainless steel. Budget, to a large degree, determines metal choice, uniqueness and how a piece of mens jewelry is made. If you’re like most shoppers, you think a lot about value and quality. But considering how a piece of jewelry is made and who makes it can bring even more meaning to a piece. The maker story becomes part of your story behind the gift, and can be an expression of your own thoughtfulness, creativity and values. Even if you are looking to purchase a men’s pendant for under $100, you can still find a badass original men’s pendant design. It could be cast in sterling silver coming from a small designer studio. Above $200, you can find pendants for men made by a highly skilled artisan who has dedicated years of his or her life to perfect their craft. 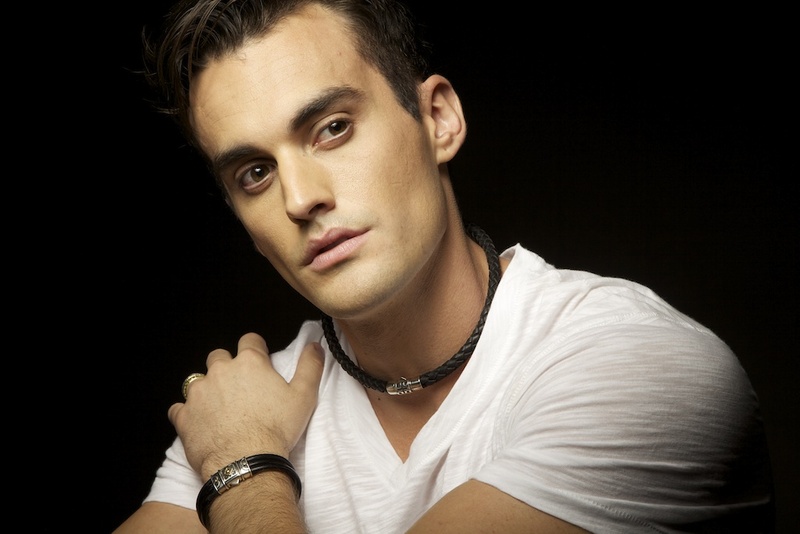 Mens two tone necklaces are a particularly exquisite choice because the bimetal element allows for a strong designer element and lends to a handmade style that many men truly do appreciate. One consideration that few people purchasing jewelry today should consider is where the material that makes the piece comes from. No one wants to purchase or wear a necklace made of dirty gold or silver that has thrashed the environment. 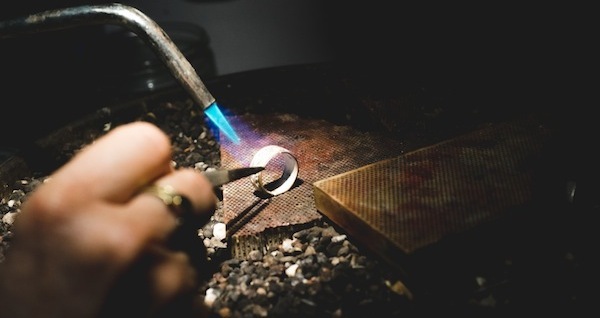 While pendants made of recycled precious metals are better than those made from metals purchased on the open market, the best option is fairtrade gold. Fairtrade gold is the most ethical of all precious metals. It comes from small-scale miners digging with shovels, rather than massive earth destroying machines. For these often-impoverished mining communities, fairtrade gold means being paid a fair price, safe labor conditions, ecological responsibility and additional financial premiums. It’s the best way that these miners and their families have to break free from the poverty cycle. Your considerations of ethics, along with masculinity, style, gemstones, chain and fabrication becomes part of the story, part of the enjoyment of finding that perfect gift full of meaning. Caring about these things is an expression of your love for your man. He’ll feel it, that attention and intention, when you gift it to him. It will light up his face and warm his heart. Over time his pendant will become part of who he is. When he looks at it, or even feels it against around his neck, he will think of you.